Comments: Roberts made two drawings of the small but very elegant temple at Wady Kardassy, of which this is the first. Yet another of the monuments that was dismantled and moved above the rising waters of Lake Nasser. 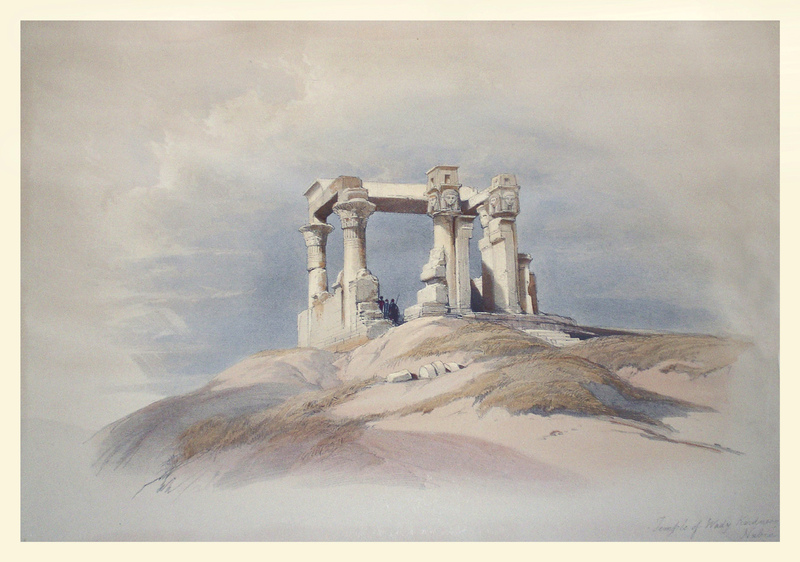 Title: Temple of Wady Kardassy, Nubia. Image: 9 13/16" x 13 11/16"